Look Before You Leap into Listing: Get A Consult! Many sellers invest time, money and energy into the wrong improvements and changes in their homes before listing — or worse, they don’t do anything to improve their home’s visual marketing before listing. You only have a short window of time to grab buyers’ attention — the first two weeks of the listing period is the “honeymoon” period. After that, the excitement and number of visits start to peter down. Hiring a stager to do an inexpensive consult will put you on the right track before your home hits the market — usually for less than $200. You’ll get on-target advice that covers everything from curb appeal to outdoor entertainment spaces (and every backyard should be staged to look like an entertainment zone), to how to make each room look as appealing as possible. How you live now almost never matches how your home should look to sell. 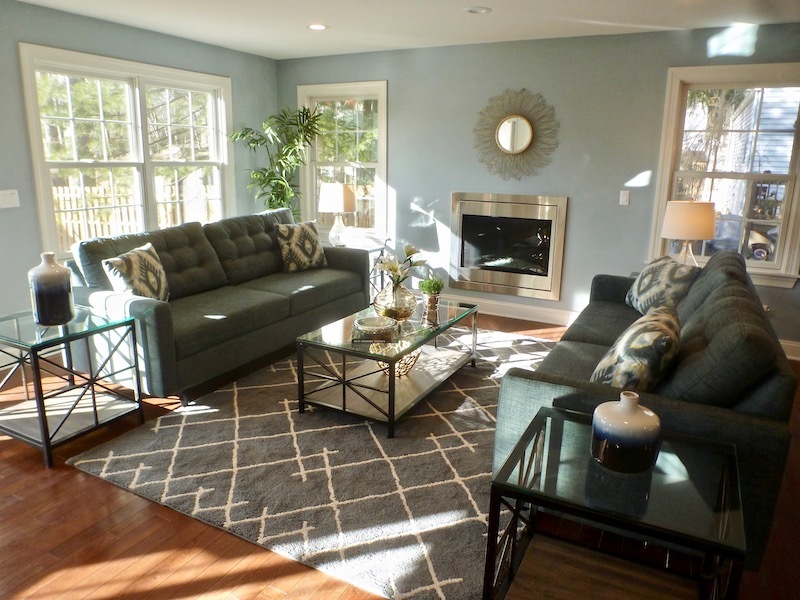 Stagers know ideal furniture arrangements, what to replace, what needs updating, what needs to go into storage to free up space, how to handle window treatments to get the maximum lightness and brightness in your home, what cosmetic changes to make, what repairs need to be made, what paint colors need to be changed. We can suggest how to re-use much of what you already have in your home in different and better ways to create the lifestyle ambience buyers dream about! Consults generally take only 1.5 hours, and give do-it-yourselfers maximum return on a small cost. Remember that buyers want move-in ready properties, and if the MLS photos of your house aren’t their absolute best, most buyers won’t even want to look at your house! Don’t let your home become one of the many that sit on the market for months or years because the seller didn’t bother to consider how their home looks to potential buyers. Invest a little to get a lot of money back in a higher price and quicker sale! 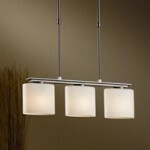 A common problem I see in clients’ homes is outdated lighting, both on the exterior front and inside. 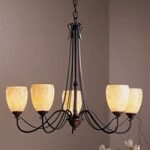 Updating your lighting makes a big difference in how your home looks, whether for selling or staying. 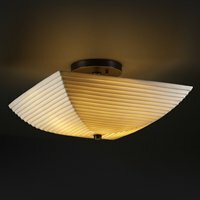 Ceiling fan lights are prevalent in 80% of the homes I see, and although I don’t have a problem with them if they reflect current styles — dark blades, contemporary, sleek, simple shades — I always seem to run into the “blonde” ones with the elaborate, fluted shades that are straight out of the 80s. If you haven’t changed out your lights in 15 or 20 years, it’s time to think about doing so, especially if you’re selling. Semi-flush lights are generally more stylish than flush dome lights these days. Avoid brass finishes and go for black or bronzed “iron” looks, chrome or matte nickel finishes instead. 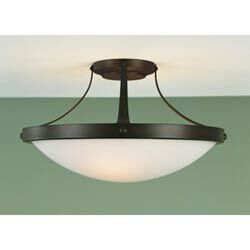 New, attractive ceiling lights can be purchased for anywhere from around $25 to hundreds of dollars (try Bellacor Pro online to check out a huge selection). Replace Colonial style chandeliers with contemporary drum styles, elegant beaded styles, traditional classic shaded lamp chandeliers, or Mediterranean looks instead. 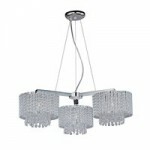 Fit the chandelier to your dining room furniture and, to a lesser degree, house style. 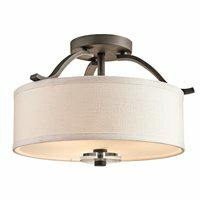 Don’t forget to upgrade wall sconces as well, again eliminating any Colonial bare bulb looks. Another major lighting faux pas that I see very often is the movie-star bare bulb look around vanity mirrors. That look dates any bathroom by several decades. 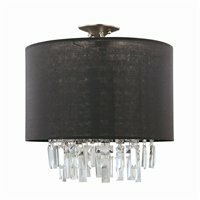 It can be easily updated with simple frosted down-light sconces (check out Restoration Hardware for some classic looks). If you have fluorescent “box” lights in your kitchen, upgrade to either recessed lights or small track lights on curved chrome tracks. Be sure to use the maximum wattage bulbs allowed for your fixture to make your house look light and bright to buyers.